This Thursday 14th June begins the World Cup 2018, with the match Russia-Saudi Arabia. Here are the five most anticipated moments of the first round. This is the big day ! Football fans from all over the world are on Wednesday more and more feverish with the start of the World Cup 2018 in Russia. If the opening match will be a deliverance for all, other important appointments will punctuate the first round. As since 2006, it is the organizing country and not the title holder who has the privilege of opening the ball for this 21st edition of the World Cup. It must be admitted that on paper the confrontation between Russia and Saudi Arabia, the two worst-ranked teams in the competition according to Fifa – respectively 70th and 67th – does not really dream. But after three years, 11 months and one day of weaning, since the 2014 final in Brazil that saw Germany triumph over Argentina (1-0, ap), the relief will be huge for those who expect the biggest world sporting event. And just for that, the adrenaline will be at the rendezvous, Thursday at 6pm local time. Expected by some as the miracle solution to arbitration errors that dot the legend of the World Cup, or seen by “purists” as a sanitization of a human game, too human, the video is expected to be used to clarify infractions and possible goals if it hits the posts. It has been imposed by Fifa, despite some reluctance related to the great disparity in the level of experience of the referees present at the World Cup. 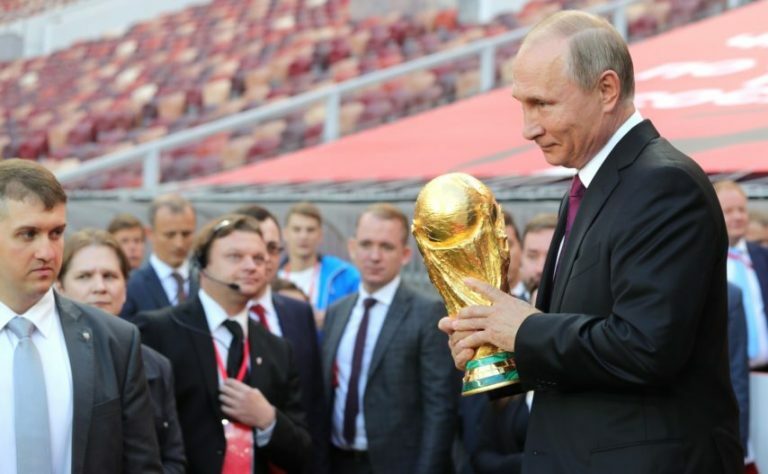 Its impact on the pace of meetings will also be scrutinized, especially as FIFA has opted for the “German model” of the VAR, with a single operational center in Moscow, connected at all stages by fiber optics. It’s a safe bet that its first use and even the following will not fail to feed endless controversy pichrocolines. This is a suspense that will last until the last minute: Mohamed Salah, irresistible with Liverpool this season, but injured by Sergio Ramos in the final of the Champions League, will he be there for the entry in the running of the Pharaohs in this World Cup? The hopes of appearing well for Egypt, the second best team in group Fifa Fifa (45th), rest largely on his shoulders, one of which is unfortunately unfortunately the seat of his injury. The coach Hector Cuper will take the risk of aligning him in the first game against Uruguay, an opponent a priori much higher, or keep it in reserve for meetings against Russia and then to Saudi Arabia more affordable and decisive? Answer Friday afternoon. This is definitely THE big shock of the first round, a poster worthy of a semi-final or even a World Cup final, and yet, it will arrive on the evening of the second day of competition, Friday, June 15. The reigning European champion, led by Cristiano Ronaldo, will have to be at the top against Spaniards who may be less frisky than in the past, but who seem to be formidable again even if Wednesday’s surprise replacement of coach Julen Lopetegui by Fernando Hierro can have harmful consequences. A confrontation that will go well beyond the only question of prestige. A possible winner would be extremely well placed to finish ahead of group B which also includes Morocco and Iran, probably avoiding the Uruguay, favorite group A, in the round of 16. But for this first match of the competition, in the heat and humidity of Sochi, the 22 players will they and will they already want to give their maximum? The risk that the mountain gives birth to a mouse is real. If Portugal-Spain offers a very early first summit at this World-2018, England-Belgium closes in the most beautiful way the first round. Probable final for the first place in a group G which also counts Tunisia and Panama, this match will be for the Belgians, 3rd in the Fifa ranking, and yet often dismissed favorites because of their lack of references in international competitions, an opportunity dreamed of affirming their ambitions. Unless it allows the English to sign the return to the foreground of world football of a selection with names may be less flashy than in the past, but that seems more dense and homogeneous, so probably more dangerous than when last international meetings. Answer June 28 in Sochi.